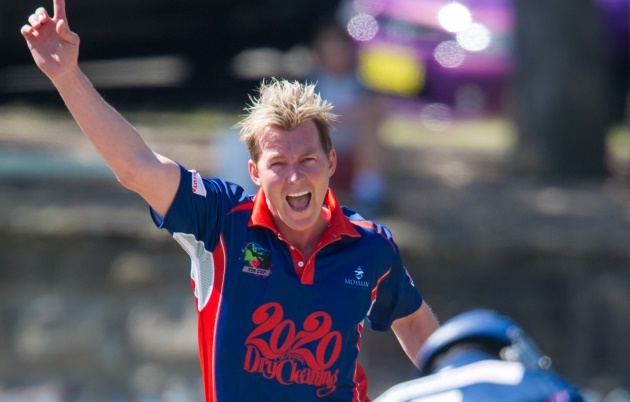 Former Australian Test and NSW Blues fast bowler Brett Lee will play for Mosman during rounds five and six of the Kingsgrove Sports T20 Cup on Sunday. Rounds five and six mark the final stages of the competition before the semi-finals the following Sunday. The preliminary finals and final will be played at the SCG on 16 December. The top four teams in the Sydney Thunder and Sydney Sixers Conferences will play off in the elimination semi-finals. Lee, 42, will join several International stars and emerging talents in action on Sunday. Steve Smith and David Warner are both expected to play for Sutherland and Randwick Petersham respectively. Leg-spin sensation Usman Qadir also makes his return from Western Australia for Hawkesbury in its double header at Owen Earle Oval. Hawkesbury are captained by former Blues and Queensland Bulls batsman, Peter Forrest. Former Australian Test and Blues opening batsman Ed Cowan is expected to play for Sydney University in its match against the Central Coast. It has been 12 months since Lee last played for Mosman. The double header at Allan Border Oval will be the first time the famous quick has laced on the bowling boots for the Whales since rounds three and four of the Kingsgrove Sports T20 Cup last season. During an International career that spanned more than 12 years, Lee claimed 718 wickets in all three formats of the game, including 310 Test scalps. Mosman are yet to register a win in the Kingsgrove Sports T20 Cup and will face a stern test on Sunday. It plays defending champions, Sydney, and St George, who both sit in equal first on the Sixers Conference ladder. Qadir will play his first match for Hawkesbury since round one of the McDonald’s NSW Premier Cricket competition this season against Penrith. Since that match, the promising leg-spinner has made his List A debut for Western Australia, for whom he played four matches during the JLT One-Day Cup. In early September, he signed to play for the Perth Scorchers in the BBL. Last season, he burst onto the Sydney Premier Cricket scene for Hawkesbury. Qadir claimed 39 wickets at 20.54 including three five-wicket hauls in just 13 matches across all forms. He is the son of former Pakistan Test leg-spinner Abdul Qadir. The Hawks play Campbelltown-Camden and Penrith in a double-header at home. Both Penrith and Campbelltown-Camden currently sit on 18 points at the top of the Thunder Conference equal with Bankstown. Hawkesbury need to win both matches to keep its semi-finals’ chances alive. Like Hawkesbury, Sutherland host two tough opponents in back-to back matches at Glenn McGrath Oval. It plays UTS North Sydney followed by Eastern Suburbs, who are both desperate for wins to sneak into a semi-finals spot. Sutherland are in a similar position sitting one win outside the top four. Last Sunday, 21-year-old opening batsman Henry Hunt was on fire with bat in hand. He made 75 from 53 balls against Gordon and then followed that up with a blistering 104 from 47 balls in an agonising six-run loss to UNSW. The Eastern Suburbs side, who has only posted the one win in the tournament so far, will also have Blues fast bowlers Harry Conway and Henry Thornton, as well as former England Test opening batsman, Sam Robson, in its squad. North Sydney possess plenty of power hitters in their top order including Sixers’ batsman Justin Avendano and allrounder Simon Keen. Keen last week plundered the Randwick Petersham attack for 84 from 53 balls. During round one of the Kingsgrove Sports T20 Cup, he played his 200th First Grade match against Manly-Warringah. UNSW and Manly-Warringah will meet for the second time in consecutive days at Village Green on Sunday. 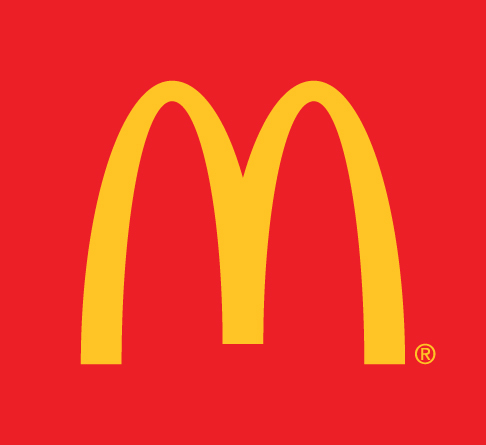 The two teams will also start their round seven two-day match in the McDonald’s NSW Premier Cricket competition on Saturday. UNSW play Randwick Petersham in the earlier match at Village Green on Sunday. Blues batsman Jason Sangha, 19, and Sydney Thunder allrounder Daniel Sams are both expected to join Warner in the visitors’ squad. The Australian Capital Territory will play its first home matches of the tournament at Manuka Oval on Sunday. It meets Bankstown and Parramatta, who are both currently sit inside the top four of the Thunder Conference, in third and fourth respectively. Despite the ACT yet to post a victory in the Thunder Conference, the Territory has a few notable players in its squad. Member of the triumphant Adelaide Strikers squad that claimed the BBL|07 prize, allrounder Jono Dean, is one of those players. Allrounder Shane Devoy, who played five matches for ACT/NSW Country in the Toyota Futures League last season, is another class cricketer in the squad. Dean and Devoy also join fast bowler Djali Bloomfield, who was a member of the successful male NSW side at the 2018 National Indigenous Championships, in the ACT squad. Fairfield-Liverpool host both Blacktown and Western Suburbs at Rosedale Oval. Like Keen, Blacktown batsman Matt Day marked 200 matches in the top grade during the early rounds of the Kingsgrove Sports T20 Cup. He reached the milestone in round two. Both Blacktown and Western Suburbs can conceivably make the semi-finals with wins and other results going in their favour. Gordon host two regional teams for its final two matches in the Sixers Conference. It takes on Newcastle and Greater Illawarra at Chatswood Oval. Two wins should guarantee a semi-finals berth for Gordon. Likewise, a victory for Newcastle will move it to 18 points and should seal a place in the elimination stage of the tournament. Promising young Gordon opening batsman, Axel Cahlin, reached 2,000 First Grade runs during round two of the Kingsgrove Sports T20 Cup and has been good form throughout the season across all formats. He has made 426 runs at 60.86 in the top grade this season.